Have a ‘hoppy’ Easter (yeah, we went there) with these family-friendly events! Put a Little Spring in Your Step! Join in the Easter festivities from 10am to 2pm on April 18 to 20! Hop on over to the stage and get your picture taken with the Easter Bunny and decorate an Easter cookie, too (while supplies last). The Calgary Farmers’ Market will be accepting cash or food donations for the Calgary Food Bank to snap a bunny photo and to ensure no one goes hungry this Easter (recommended $5 donation). And remember, the Market is open all Easter weekend, Thursday to Sunday, 9am to 5pm! Website. Easter Eggstravaganza at the Calgary Zoo, proudly sponsored in part by Calgary’s Child Magazine, takes place April 19 & 20, 9am to 2pm. Hop on down to the zoo where kids of all ages can play, explore, create, and learn. This year, once again, there will be 4 activity zones (creative, play, sweet, and enviro) for your family to spring through. In each zone, you’ll meet the local partners who have brought activities, prize draws, and tasty treats! Kids 12 and under can visit the 4 treat stations for a free treat. What a sweet way to celebrate! Easter Eggstravanganza is included with regular admission to the Zoo. To purchase your admission tickets now, visit the website. Friday Apr 19 at 10am to 12pm. Join for a fun-filled morning as your dog(s) hunt for treat-filled eggs on the beautiful south lawn of Calaway Park. All funds raised go to supporting National Service Dogs work. Visit the website to sign up and start collecting pledges! This is an outdoor event, so dress for the weather! Meet the Easter Bunny and make some furry friends! On April 19, Westbrook Mall is hosting an Easter petting zoo for the whole family to enjoy. Join Westbrook Mall and give your kids an opportunity to interact with friendly farm animals or get your photo taken with the Easter bunny from Noon to 5pm and receive a free 4 x 6 photo! Website. Saturday Apr 20, 10am to 12pm. Join Trico Centre for an eggstravagant morning of fun! There will be face painting, crafts, games, and more! This holiday event is free for members. Website. Saturday Apr 20, 10am to 6pm. 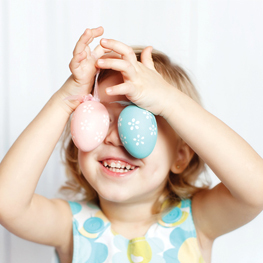 Visit Marlborough Mall for some egg-citing Easter activities! Stop by from 12 to 6pm and get a free 4 x 6 picture with the Easter Bunny. While you are there, participate in the Easter Egg Hunt and interact with some adorable barnyard animals (from 10am to 6 pm) at the Petting Zoo located by the Family Park. Website. This entry was posted in Uncategorized on April 17, 2019 by Calgary's Child. Looking for exciting summer camps? Try something different. Have you ever heard, “Hey Mom watch this!”? That is your child taking pride in showing off a new accomplishment. It is important for kids to try new things as they grow up. New experiences broaden their imagination and decrease their discomfort with things unknown. Children develop confidence and independence as they develop new skills. The City of Calgary’s 186 affordable day camps at 18 locations throughout Calgary offer fun ways to spark new interests and uncover hidden talents. Do your kids enjoy being creative? Art, dance or performing camps are a safe bet. Are your children into sports and games? We have a wide variety of sports camps, from Explore Sports and gymnastics to skateboarding and hockey. Kids love nature and being outdoors? They’re sure to enjoy Nature Discovery camp or Outdoor Adventure camp where they will learn to kayak or canoe. The City of Calgary has a perfect camp for every kid. For parents, flexibility is just as important. You might need a place to send your kids for just a few hours in the morning or afternoon, or a way to keep your kids active and entertained for a full week. The City has half-day camp options – you can even mix and match. Try Arts Combo camp in the morning and Cartoons & Comics in the afternoon. Daily camps are ideal if you’re looking for a camp that’s just a day or two during the week to send your children. If you’re looking for the best bang for your buck, you might want to try one of our two-week sailing camps – a tremendous value when compared to similar camps. Start planning your kids’ summer early to find the right combination of activities, location and friends. The City of Calgary day camp staff are selected based on experience, ability to relate to children and leadership skills. Leaders create a friendly, safe and fun environment for campers. Staff receive training and are certified in Standard First Aid and CPR as well as High Five® Principles of Healthy Child Development. We welcome and include all children. Please make us aware of any disabilities or behavioural needs that may affect your child’s participation. While our goal is inclusive participation, there are times when a child requires more support than our current ratios can provide. With so many affordable camp options available close to your home or work, we’d bet there is one that’s perfect for your kids. Find that camp online at calgary.ca/daycamps. This entry was posted in Uncategorized on April 15, 2019 by Calgary's Child. Clear the Slate and Move On! Have you ever found yourself critiquing yourself repeatedly for a mistake you made a while ago? Perhaps you wish that you had used a better “comeback” or had been calm-cool-and-collected instead of out-of-control-heated-and-LOUD! You are not alone! We all make mistakes in our interactions with other adults and especially in interactions with our kids. Mistakes happen, and provide learning opportunities. It’s up to us to take the opportunity and make the most of it. When we do, we likely won’t make that mistake again. This leaves room for us to make other mistakes instead. So how do we learn from our mistakes? We look at what happened, what we might have wanted to have happen and then make a plan for what to do differently if the same situation occurs again. It’s pretty simple actually. When we make a mistake, we can use this same exercise: What can I start to do differently? What can I stop doing and what am I doing well, because that can continue! Then, we clear the slate and move on! There is no need to revisit this issue. If you need to apologize for your behaviour, take responsibility to do that and then give yourself the freedom to move forward. The same thing is true for our kids. When they make mistakes, AND THEY WILL, allow them to own the behaviour, make amends if necessary, learn from the behaviour and then move on. There’s no need to remind your children of their mistakes. They are likely already doing so inside their own heads. Allow your actions to teach your kids the freedom to make mistakes and learn from them. There is no need to spend hour after hour looking back at what might have been or worrying into the future about the damage you may have caused. Taking responsibility and then letting go is what creates this freedom. Am I so worried about being a good parent that it’s getting in the way of my actual parenting? What can I clear off of my slate or my child’s slate? What am I doing well that I can continue? Learn more from Julie and Gail at parentingpower.ca! This entry was posted in Uncategorized on March 15, 2019 by Calgary's Child. Everyone is born to sing, and we do it almost unconsciously. We sing along to our favourite songs, soothe babies with lullabies and sing teaching songs like the ABCs. Singing plays a powerful role in development – it helps teach language skills, bonds us with our parents, and is foundation for a strong music education. program where music is learned through traditional children’s folk and art songs, nursery rhymes, dance, and games. Play and physical response to the songs is an important aspect of each class. Viva, the program for Grade 4-7 girls, advances musical skills through a wide and varied repertoire. Choral training develops with an emphasis on the artistic refinement of performance, vocal technique, inner hearing, rhythm, and learning Solfège – a relative pitch system which uses pitch syllables (do, re, mi, etc.) to develop a keen musical ear. Brava (Grades 7 to age 24) learn challenging pieces with polished expression and are recognized internationally for their exquisite and moving performances. Choir website or on their Facebook Page under Events. This entry was posted in Uncategorized on February 26, 2019 by Calgary's Child. Eating together – we’ve done it since the beginning of time, when hunters and gatherers shared their spoils. Kids eat together on the playground, and college students dine in shared dorm rooms, but as we get older and take on day jobs, are we still eating together? Apparently, not so much. A recent national survey commissioned by President’s Choice® found that although Canadians spend significantly less time eating meals with friends and family compared to screen time, there is still a desire to spend more time at the table. With technology becoming more accessible than ever and permeating our everyday lives, it’s important to take the time to put that mobile phone or tablet down, to enjoy the company around you. Research has shown on average, almost 1 in 3 Canadians (29%) are spending more than 4 hours of their free time engaging with screens each day! Additionally, when people eat together, they see each other as equals and connect with one another. The simple act of regularly sharing a meal with friends and family can provide numerous benefits and contribute to a healthy lifestyle including the formation of healthy eating habits, early childhood development and building stronger interpersonal relationships. In fact for the first time since its inception, Canada’s Food Guide, released in early 2019, encourages Canadians to cook more often and eat meals with others in an effort to instill healthy eating habits. Much like the recommendations in Canada’s new Food Guide, President’s Choice® has been on a mission to bring Canadians back to the table to Eat Together. For three years, President’s Choice® has been committed to bringing Canadians back to the table to share a meal with many Canadians participating to date. President’s Choice® is encouraging Canadians to take the pledge this year to Eat Together at pc.ca/eattogether and donate to PC® Children’s Charity™. Every pledge will also receive a $1.00* donation to the PC® Children’s Charity™ to help children in Canada eat together with their friends and families. From Wednesday, December 12, 2018 to Thursday, December 13, 2018, an online survey of 1,510 randomly selected adult Canadians who are Maru Voice Canada panelists was executed by Maru/Blue. For comparison purposes, a probability sample of this size has an estimated margin of error (which measures sampling variability) of +/- 2.4%, 19 times out of 20. The results have been weighted by education, age, gender and region (and in Quebec, language) to match the population, according to Census data. This is to ensure the sample is representative of the entire adult population of Canada. Discrepancies in or between totals are due to rounding. This entry was posted in Uncategorized on January 29, 2019 by Calgary's Child. The end of January and (let’s face it) the entire month of February can feel like a bit of a drag – but it doesn’t have to be! We have some great activity suggestions all around the city to get you out of the house and enjoying the snowy weather. Feb 14; Two activity times available: 9:30 to 11:30am & 6:30 to 8:30pm. Celebrate family month and Valentine’s at Southland! Make some Valentine’s crafts for your family and friends, and enjoy some light refreshments. Feb 20; 6pm to 8pm. Come out and enjoy fun games and activities. Bring your skates and helmet for a free skate. This event in partnership with Hand in Hand Parent Link Centre. This entry was posted in Uncategorized on January 22, 2019 by Calgary's Child. 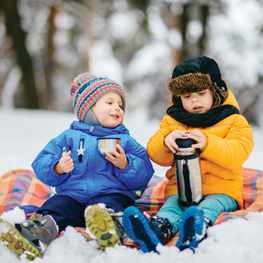 Emergency Medical Services (EMS) would like to remind parents and children of some basic toboggan/sledding safety tips as the winter season continues. Injuries may result from collisions with stationary objects on the hill, such as trees or rocks, or even collisions with other people. Unprotected falls can also result in more serious injury if you lose control at high speeds. However, everyone can be safe and have fun on the toboggan hill by following these simple reminders. Children should wear a certified, properly fitted helmet designed for other high impact sports such as hockey, cycling, or climbing. Beware of loose scarves or clothing containing drawstrings which could present a strangulation hazard if they become caught or snagged. Gently warm the affected skin by placing a warm hand over it, or by placing the affected part in warm, not hot, water, until re-warmed. This entry was posted in Uncategorized on January 9, 2019 by Calgary's Child. When the holiday season ends, and the dead of winter sets in, there is an inevitable gloominess that typically hits most families. The bored looks. The cranky behavior. The lack of patience. 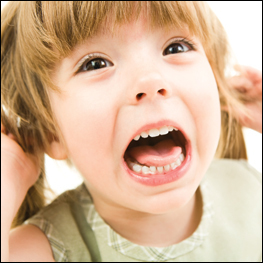 The constant irritability… The symptoms are easy to diagnose. It’s cabin fever. This winter, don’t let everyone stay trapped in the house. Find new ways to spend more quality time with your family, starting with The City of Calgary’s aquatic facilities, leisure centres and arenas. With two wave pools, seven public skating arenas and 12 pools in Calgary, The City’s recreation facilities provide fun and affordable family drop-in activities that are close to home. 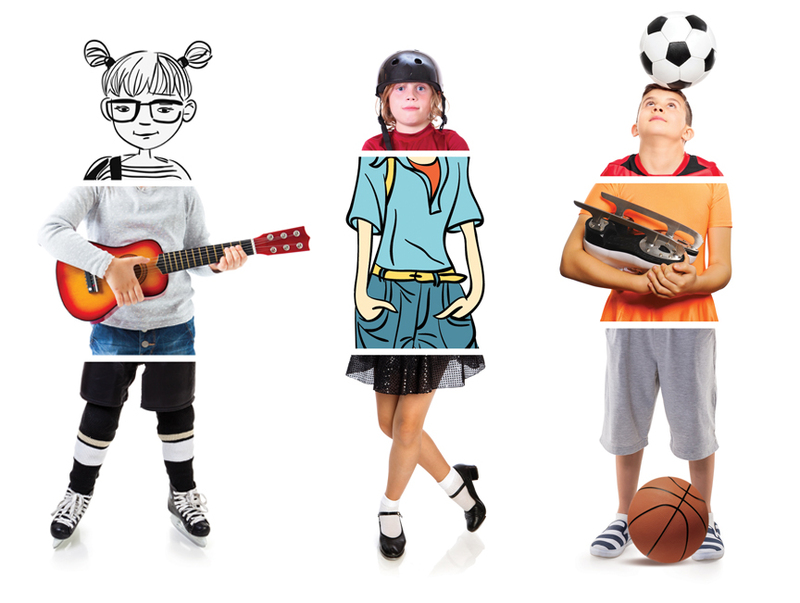 Choose between swimming, skating, shinny hockey, badminton, basketball and even rock climbing! Best part is, these drop-in activities won’t break your budget. The City offers a special family admission rate at their recreation facilities for one low price. Even better, kids two and under are free. Don’t wait until it’s too late. 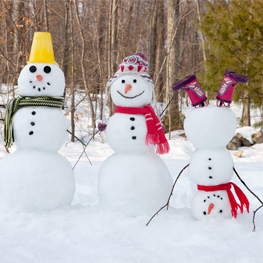 Protect yourself against cabin fever this winter. Find an activity that fits your family at calgary.ca/cabinfever. This entry was posted in Uncategorized on December 26, 2018 by Calgary's Child. THE FOOTHILLS ARE AGLOW WITH TWINKLING LIGHTS! The days in December are short – but the nights are full of twinkling lights! Bundle up and enjoy some of the many wonderful light displays all across the foothills. 23rd Annual Airdrie Festival of Lights. Join for the 23rd season of the Airdrie Festival of Lights! There is no charge to attend, and parking is always free. Enjoy a hot chocolate or ride the trains for $2 and warm up by the fire! Donations graciously accepted. Santa Visits takes place December 1, 4, 11, 18, 22, and 23 from 7 to 8pm. New this year, the 12 Days of Christmas display grouping and Kids’ Only Shopping Experience. Check the website for event details, and more. Website. Legacy’s 4th Annual Christmas Light Parade is back! With over 120,000 lights, all December, Legacy will be lit up with lights for you and your family to enjoy. It is free for anyone to come drive through the community or come out and walk through the tunnels of lights. The public parks, as well as over 20 Show Homes in the community, have been decorated for Christmas! Come enjoy the many lights and displays and join the Legacy. Website. The 32nd Annual Lions’ Festival of Lights will illuminate Confederation Park Golf Course along 14 Street NW again this holiday season from December 1 to January 8. Drive by Calgary’s largest Free Christmas light showcase nightly between 6pm and midnight or take the family for a sled ride through the park amongst the 450,000+ bulbs! The Grand Opening event, complete with fireworks, will be held on December 1 at 5pm. Website. ZOOLIGHTS: The glow starts with you. ZOOLIGHTS, presented by Olympia Trust Company, is back with more holiday cheer, festive spirit, and family fun than ever! Come experience how 2+ million lights, 200 displays, crackling fire pits, and fun-filled activity zones (with many new additions!) transform the Zoo into a magical winter wonderland. Most magical of all is its ability to bring friends and family together during the holiday season! To purchase tickets to ZOOlights, visit the website. Visit Spruce Meadows for a beautiful two kilometre drive through the grounds while you stay warm and toasty in your car! Enjoy over a quarter of a million lights in their roadside displays. It’s the perfect choice if it’s a little too cold outside to wander around. Cochrane Light Up is proud to bring the first annual Parade of Lights to Cochrane! Visit main street on December 8th from 6-7pm for an evening of amazing floats, and free family fun for the entire town! Don’t miss face painting and special guests for all spectators to enjoy! Do you have more magical light displays to tell us about? Email us at calgaryschild@shaw.ca with the details! This entry was posted in Uncategorized on December 5, 2018 by Calgary's Child. Content provided by President’s Choice®; use your best judgement and choose what is right for your family. The holidays are the most magical time of the year, but with the high expectations we often put on ourselves to impress, it can also be a stressful season especially when you need to think about meal prepping for the family and kids! In fact, according to a recent survey by President’s Choice®, more than two-thirds of Canadians (67%) want to show their love towards family and friends by putting in a lot of effort in the kitchen over the holidays. That said, all of that effort is leaving over half of us feeling spent! 51% of Canadians agree that all of the holiday prep work leaves them feeling exhausted. This year, the PC® Insiders Collection™ for Holiday is making it easier than ever for Canadians to spend less time prepping and more time enjoying. Although messing with the “mains” is probably not an option, we believe some shortcuts are necessary to give you more time to spend with family and friends. 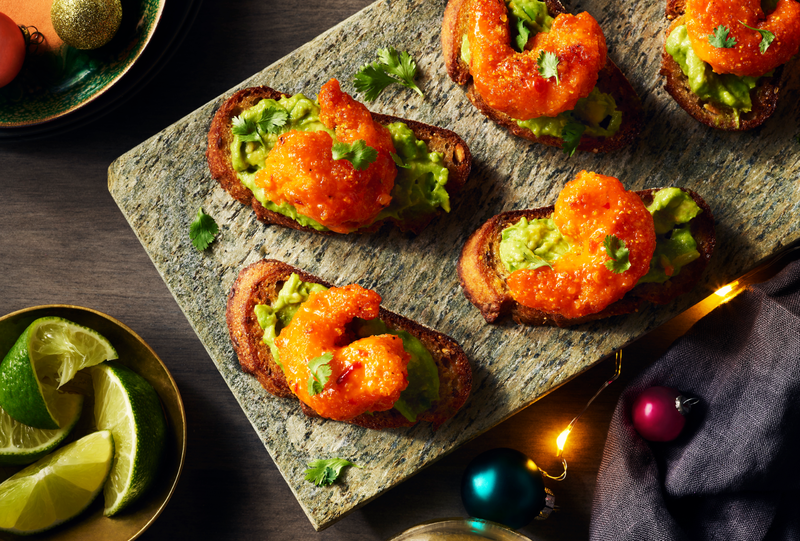 From delicious appetizers that you pop in the oven to sweet treats that you simply place on a platter, this year’s PC® Insiders Collection™ for Holiday is full of products that are quick and easy to serve. Check them out online and ease your holiday prep! This entry was posted in Uncategorized on November 20, 2018 by Calgary's Child.